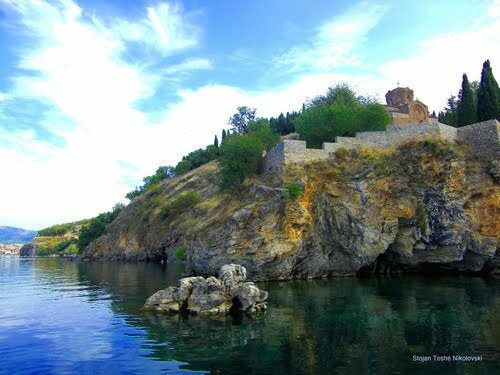 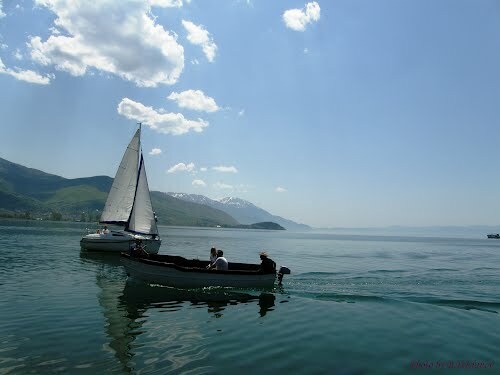 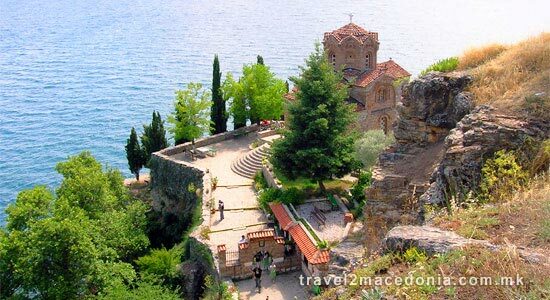 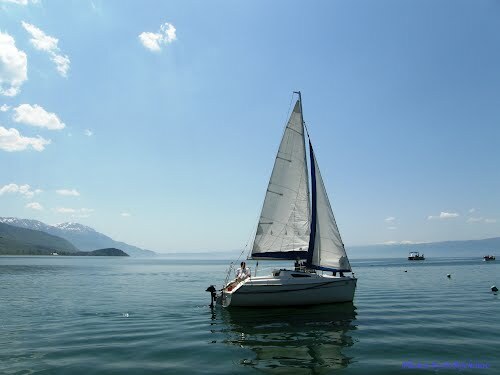 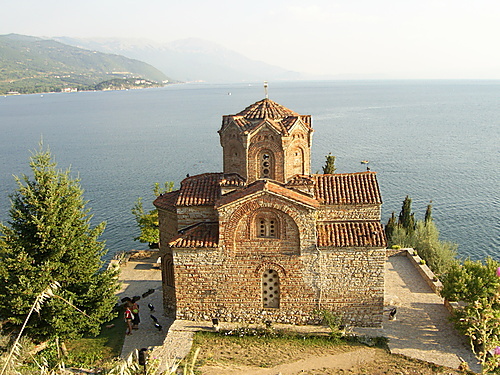 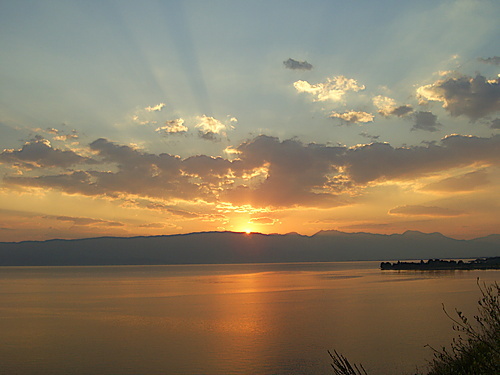 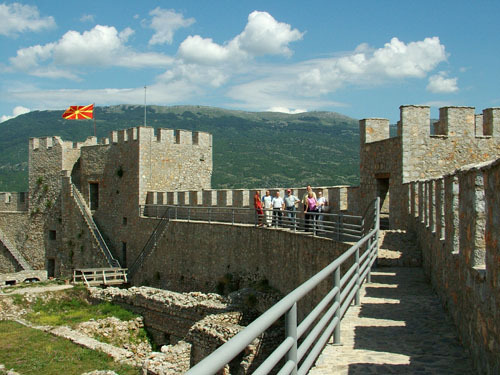 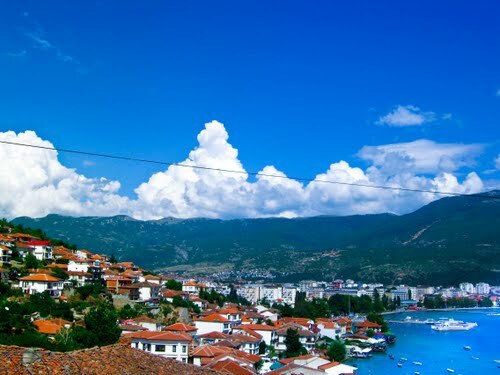 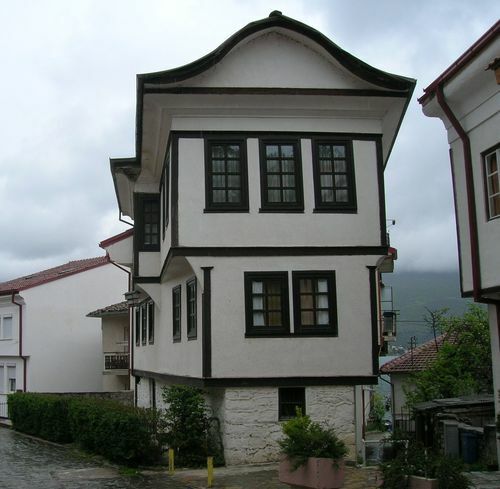 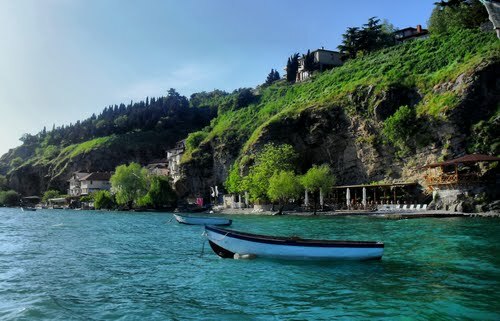 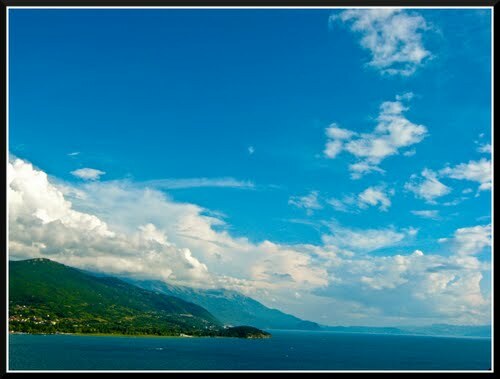 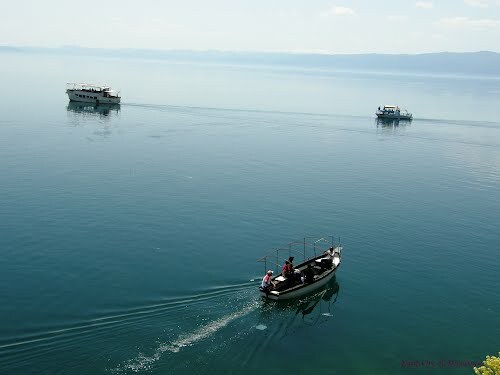 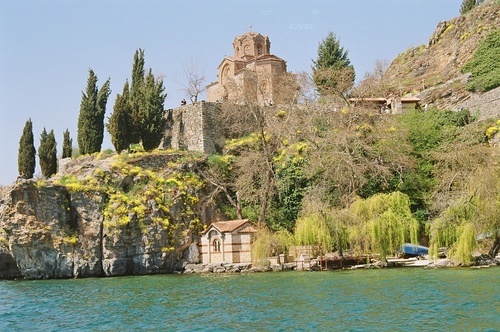 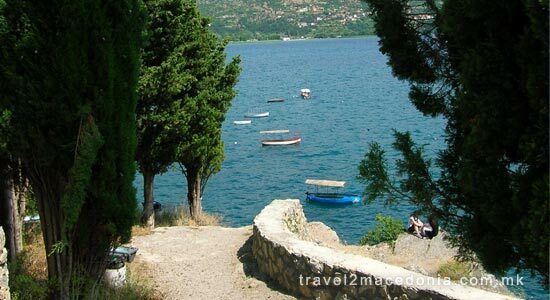 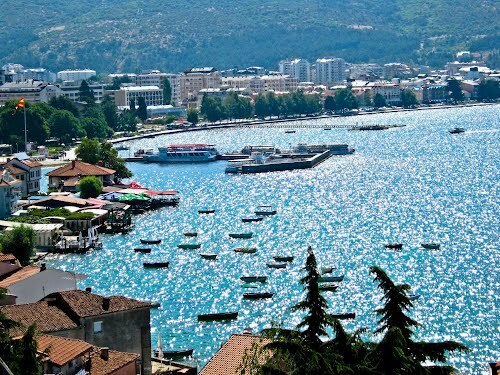 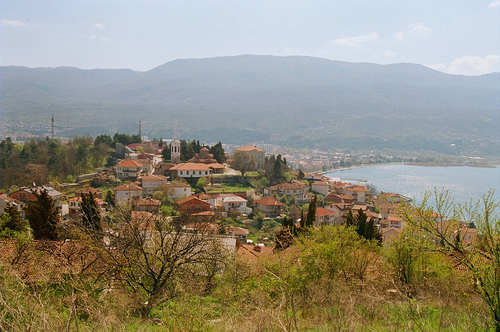 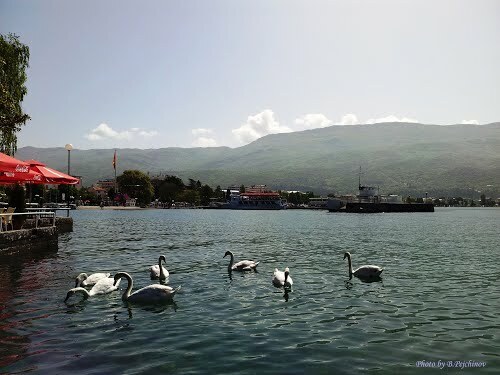 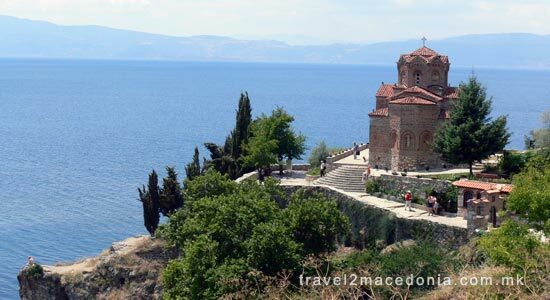 Most known for its scenic location, standing on a cliff over Lake Ohrid. 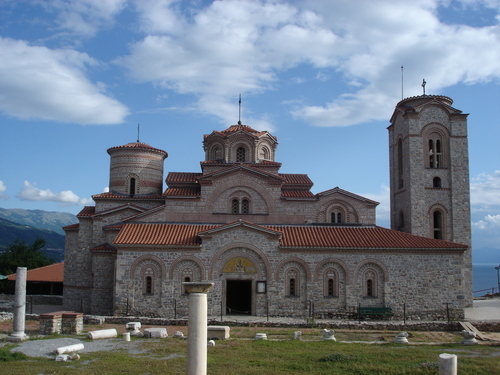 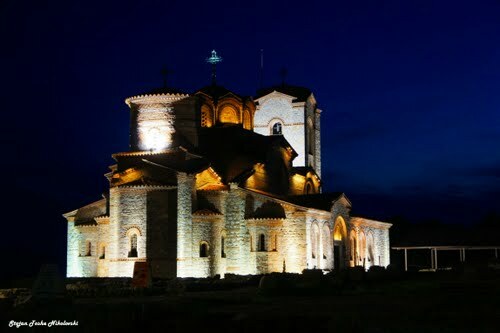 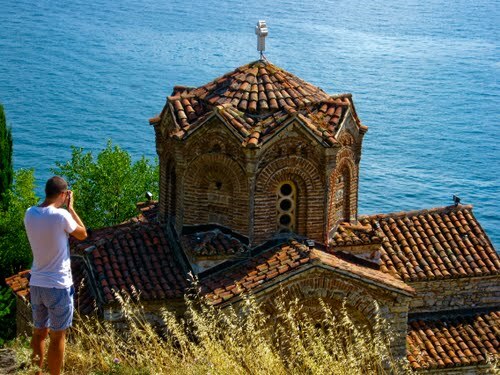 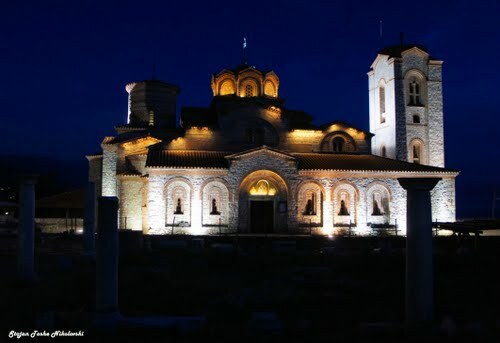 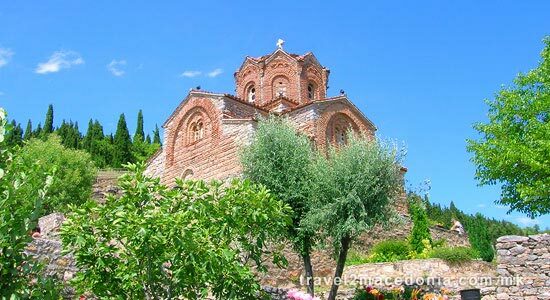 Located in the town of Ohrid (near the quarter of Kaneo and not far from Plaosnik) is the church dedicated to St. John Bogoslov, St. Kaneo, one of the most magnificent churches in Macedonia. 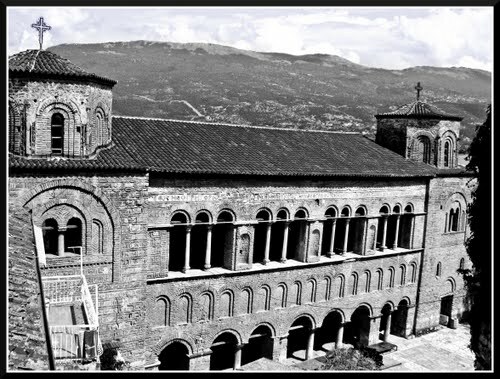 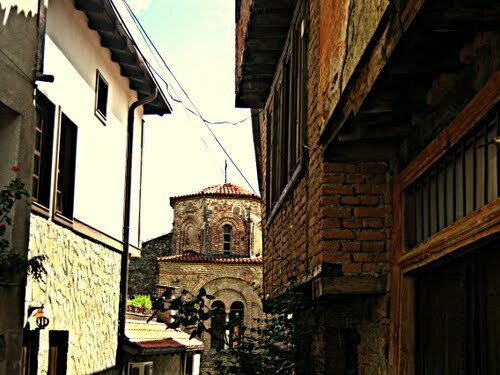 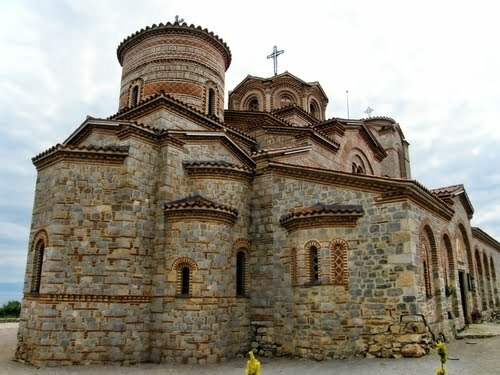 Significant to the architecture of the church is the exquisite combination of Byzantine and Armenian elements, which creates very favorable space for examining the medieval monuments in Ohrid. 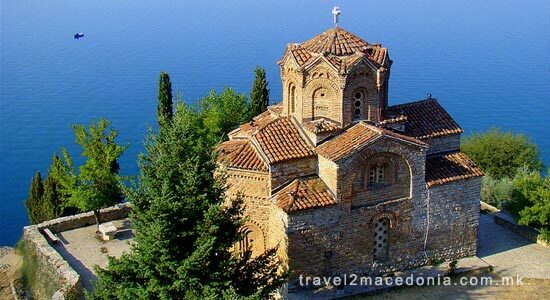 This Byzantine church was built during the 13th century on a rectangular stone base. 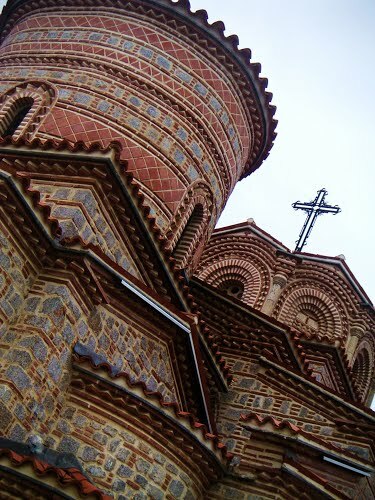 The walls are brick, stone with ceramic decorations. 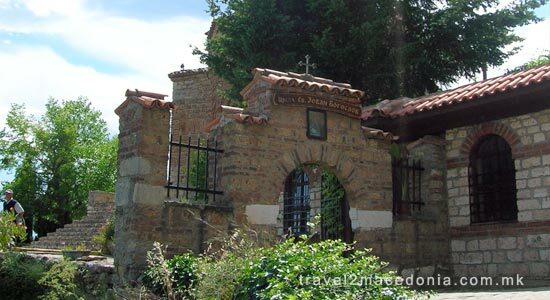 It contains only some fragments of fresco, in particular: the Communion of the Apostles and the portraits of St. Clement. 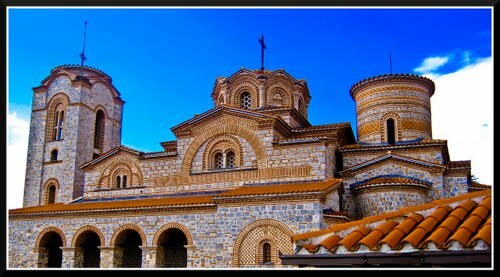 There are only few frescoes left inside, but the feeling of standing in centuries used sanctuary is worth the entrance. 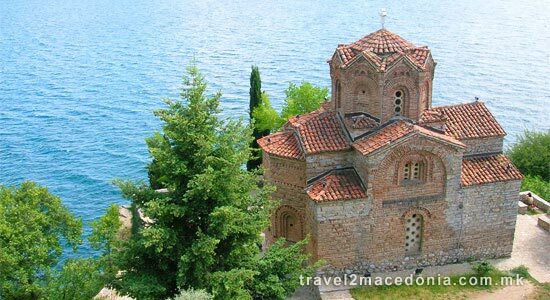 There is written record of the time it was built, but it is believed that it originates from the 13th century. 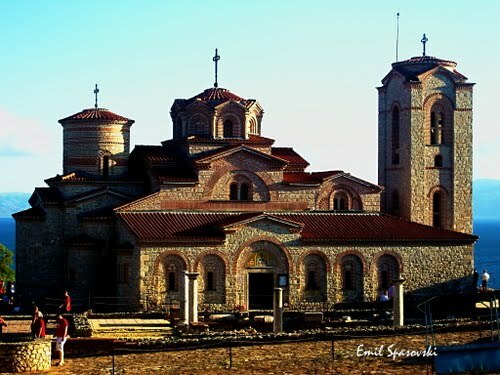 The donor and the icon-painter of the church are unknown. 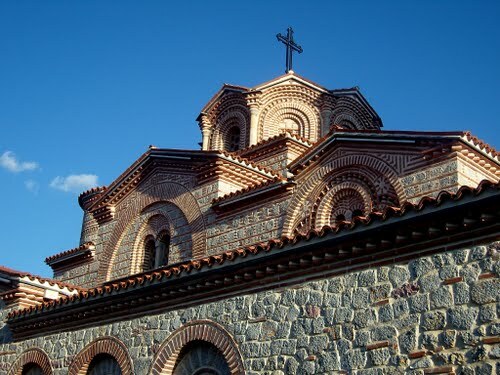 Significant to the architecture of the church is the exquisite combination of Byzantine and Armenian elements, which creates very favorable space for examining the medieval monuments in Ohrid. 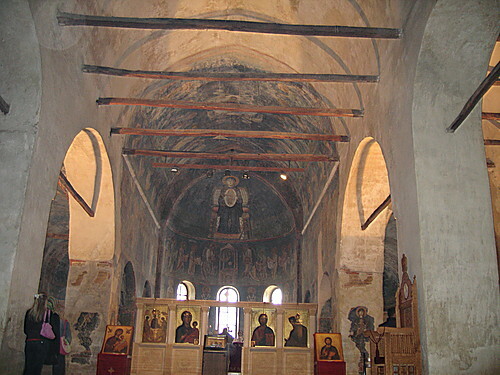 The fresco-painting for the most part is destroyed. 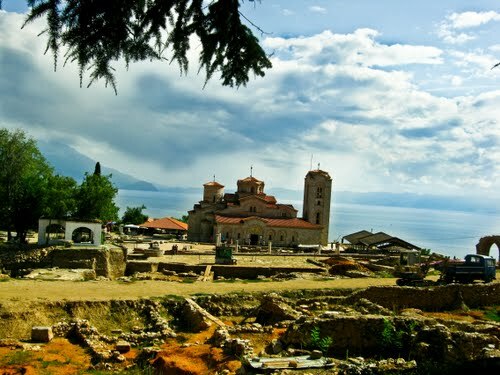 Only the fragments of the altar fresco which present "Communition of the Apostles", the portrait of St. Clement, and St. Erazmo and Constantine Kavasilis have been preserved. 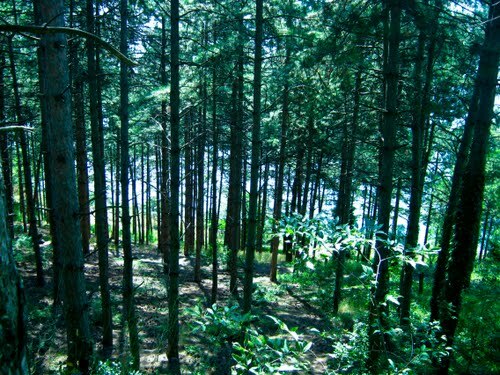 It may be reached only on foot.